We’ve almost been round every room now in our house, we’re just left with a few big projects which are beyond our DIY capabilities. Towards the end of last year we decided our bathroom had to go. 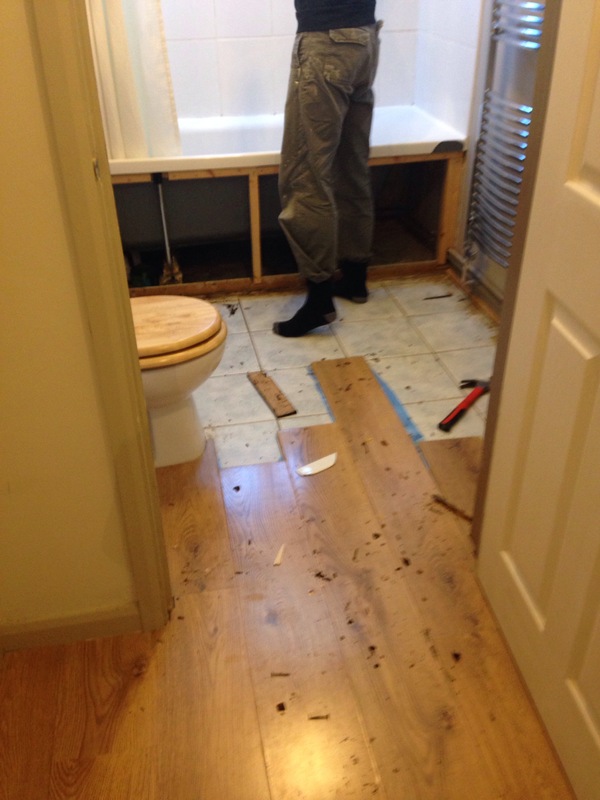 We thought we might get away with just updating the floor and tiles, but once we took a closer look we realised how bad it was and we’d need to start from scratch. So, there began trips to Ridgeons and lots of pinning on Pinterest. Followers of my blog will be well aware of the blue carpet we inherited in the lounge – it would appear this is a theme for the house. Underneath the wooden flooring in the bathroom guess what we found, yep you got it – blue tiles. So this is what we’ve been living with for the last few months whilst we planned the space with our plumber (it’s pretty horrible, and I’ve been avoiding inviting people over to save them having to see it! ).